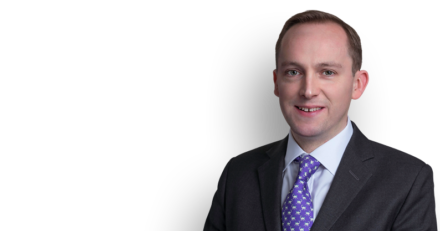 Oliver Sanders acted as junior counsel for the Home Secretary in a case under Pt 2 of the Justice and Security Act 2013. On 2 March 2015, the Divisional Court handed down a series of judgments in R (Al-Fawwaz) v Home Secretary. The case was notable for being the first challenge to a UK government refusal to provide mutual legal assistance to an overseas authority on national security grounds and the first case to proceed to a trial/substantive hearing under the new “closed material procedure” provisions in Pt 2 of the Justice and Security Act 2013. The case arose out of the US prosecution of the claimant, Khalid al-Fawwaz, the al-Qaeda spokesman for Usama bin Laden recently found guilty of conspiracy in connection with the US Embassy bombings which killed 224 in East Africa in 1998. Following his extradition from the UK, Mr al-Fawwaz persuaded the US trial judge to submit pre-trial requests for mutual legal assistance to the UK. These were unprecedented in that they sought files and witness testimony from MI5. In response, the Home Secretary refused the requests and refused to confirm or deny the existence of the evidence sought. Mr al-Fawwaz challenged her decision on a number of grounds. Oliver Sanders acted as junior counsel for the Home Secretary including at various open and closed hearings: successful application for a declaration under section 6 of the Act; successful application for a “closed material procedure” under section 8 of the Act; and successful defence of the claim itself. The relevant open judgments are respectively reported at  EWHC 468 (Admin),  EWHC 469 (Admin) and  EWHC 166 (Admin).